Each election season, the sirens call for followers. Singing melodies to pluck the voters’ heartstrings and strum out anger over the other candidate’s positions. Often out of tune, the dissonance increases. Yet promoters continue to send wave after wave of distortion, saturating the airwaves until election day. Leaving mermaids to drown in the deluge. 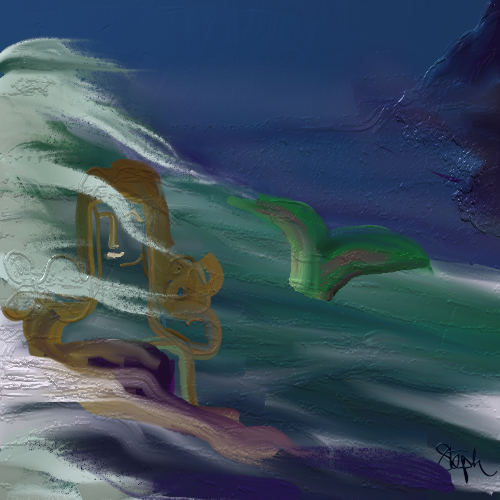 I doodled this image using ArtRage last night. I wrote my ire this morning. I hope that the deluge stops today.